Maxi ITC™ combines inositol, l-taurine, and vitamin C. Here is why we put them all together. Inositol is a member of the B vitamin family. It supports the nervous system. Taurine is a vital amino acid found in the synthesis of proteins. It supports the heart, the nervous system, and the modulation of intracellular fluids. Vitamin C acts as an antioxidant scavenging free radicals. 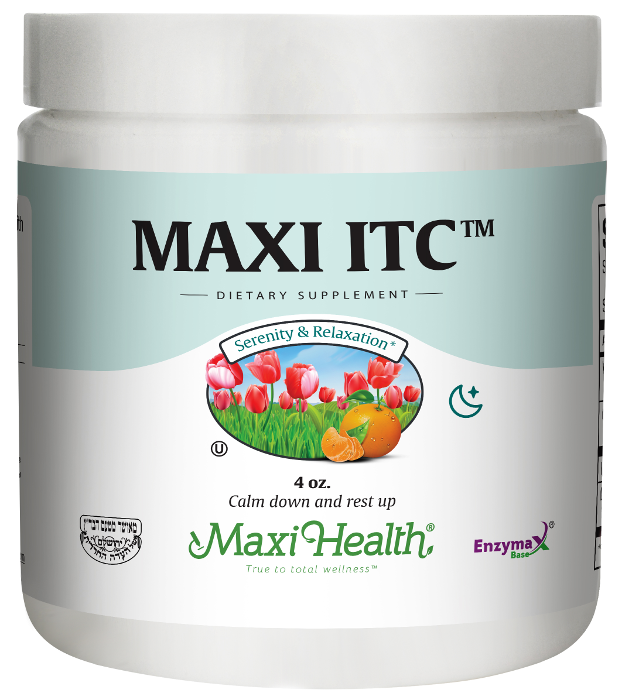 Maxi ITC also supports restful sleep and relaxation. Adults: Mix one (1) or two (2) heaping scoops with water. Children: Mix one (1) heaping scoop with water twice daily, or as directed. I am just shocked what occurred in the last 2 days. I just received and phone call from the same principal telling me that they began to see a major change in my daughter's behavior! I didn't tell him the secret I just told him that when he sees more improvement that he should let me know asap. We the parents also see major changes in her restlessness. I just can't pay you enough for your great advice. My name is Leah. I am 9 years old. Last year I had a hard time concentrating in class. My mother gave me a few vitamins from Maxi Health and now I have an easier time listening in class. Even my teachers see a big difference. Now I am a star student. I will still take the vitamins. I used Maxi ITC for my daughter. She was always nervous and unfocused. For the last three years that we have used it, she is calm and relaxed and is focusing better in school. She is doing wonderfully. Thanks!